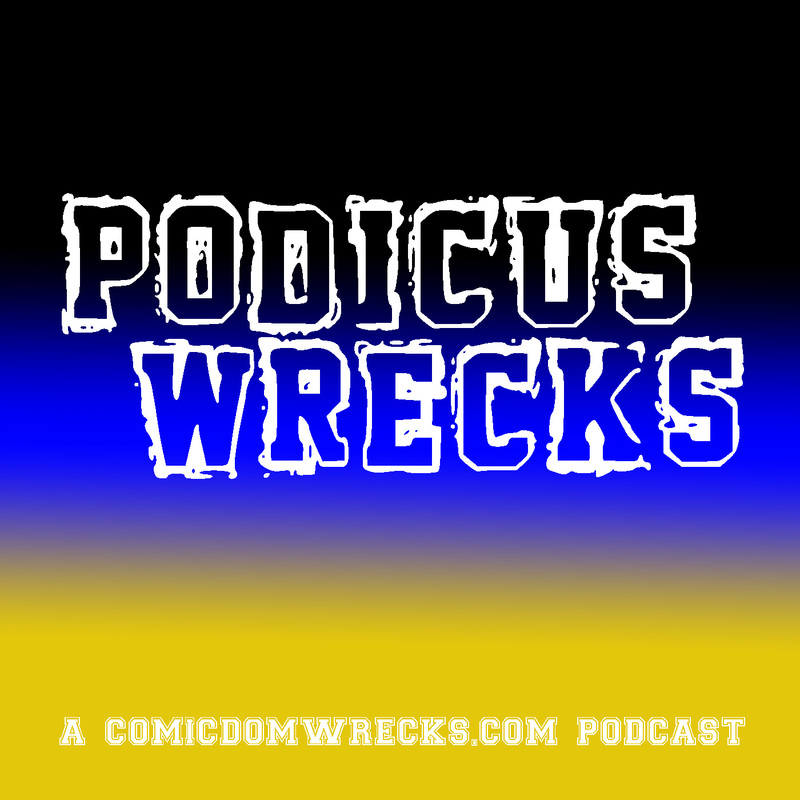 “Black Panther”, Episode 5 – Comicdom Wrecks! April 7, 2018 April 7, 2018 Anthony B.
Ulysses Klaw has brought together a roster of some of the world’s “finest” criminals, thugs, and mercenaries, starting an all-out invasion of Wakanda, with the aid of neighboring troops from Niganda, for profit and revenge. The United States is planning on their own funded-invasion of Wakanda, strictly for its resources. Black Panther has plenty of resources to counter this invasion, but has few allies. How will he and Wakanda survive? Check out the recap and review of Episode 5 below. Episode 5 picks up a few seconds after Episode 4 ended: with Black Panther and his council in the underground Command Center, reacting to the news from M’Butu that Ulysses Klaw killed T’Chaka, Black Panther(“BP”)’s father. “Klaw – so now we know who the real enemy is”, states BP’s uncle. BP has a flashback to his father’s death, when BP’s uncle warns him to keep cool; Black Panther is, in fact, happy: “all of my enemies are in one place”. Chilling. There are a lot of location changes in this episode. The 1st change takes us on a brief visit to the White House. While there, we find Agent Ross, Dondi, and the rest of the U.S. War Council. Agent Ross is summoned to the Meeting Room to brief Dondi on Klaw, now that the U.S. is aware of the Wakandan Invasion. A general decides to send inva – I mean, “support troops” – to Wakanda. We now have a new location… and a new player. We look in as Juggernaut is being monitored by… Cerebro. Manned by Storm. Behind and beside her, Cyclops, Wolverine, and Nightcrawler teleport in (I’m not entirely sure if Nightcrawler teleported them in or if they were already there). Storm, after a jab about the other 3’s loss to Juggernaut earlier, announces that she’s going to Africa and Wakanda. Cyclops wants all of them to go but is shut down by Storm; Wolverine makes a snide comment about Storm and Black Panther but Storm informs them (as us) that she might be the only one that he’ll trust inside the royal compound. As she leaves, Wolverine ridicules Cyclops on his “leadership” in letting Storm walk off. This was a tamer Cyclops-Wolverine interaction than I thought possible. We return to Wakanda, in the middle of the Invasion. Juggernaut continues to run through buildings, while the Wakandan Air Force keeps ineffectively firing at him. To stop one jet, Juggernaut throws a cow at it. You read that correctly. Juggernaut threw a cow at a jet… and brought it down. While bovines fly through the air, an equally absurd/awesome showdown starts to take shape in the sky: the Black Knight, on a Pegasus, providing support for Juggernaut, versus Black Panther, rapidly approaching in a sleek, larger jet. Off of the African coastline, a U.S. Carrier shows up. Back in Wakanda proper, inside the Mound, Shuri makes contact with her uncle: she is still hiding from the Radioactive Man. On the battlefield again, BP orders his jet fighters to shoot Juggernaut with “Tranquilizer Missiles”. I didn’t know these existed. Nevertheless, they proved to be effective: Juggernaut’s rampage is finally stopped. A long horsefight hogfight PantherKnightfight battle ensues between the Black Knight and the Black Panther. 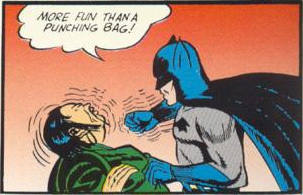 BP finally gets the advantage by lassoing BK (not with the Lasso of Truth) off of his horse, dragging him on the ground for a good bit, taking him high into the air again, and gives him an ultimatum: drop his sword or die. BK dropped the sword, deep into the mines, cutting stone shards off along the way. There was a lot going on in Wakanda, in a very short time frame. The United Nations is the scene for this brief segment. Cannibal, the female spy whose name it took 4 1/2 episodes to learn, is in the U.N. building. She stops the Wakandan Ambassador in the hall, telling him that she knows how to stop the current Invasion. That really all we get from this segment. Back to Wakanda we go…. into a briefing to Black Panther: Juggernaut is in a Vibranium cell, the Black Knight and his Pegasus are in custody, and Shuri is still down with Radioactive Man in the Mound. Black Panther decides to take out one of his enemies… M’Butu. In Niganda. He flies towards Niganda. A relatively brief visit to Wakanda, this time. Brief visit to the United Nations: Cannibal tells her “sob story” to the Wakandan Ambassador. In essence, she said that her husband is RADIOACTIVE MAN!! We are in Niganda. So is M’Butu. So is Black Panther. M’Butu probably wishes that one of the other 2 weren’t in Niganda, as BP crashes into his compound, bellowing for him. I had the same reaction, Agent Ross. A sputtering Ross wanted to know how those Zombies were going to get into Wakanda: “we can’t send them in without pulling the U.S. into the conflict”. They walked in the ocean. This invasion just got really weird. We end the episode in Wakanda. In the Queen’s Chamber, the Queen is worrying: why hasn’t Shuri been rescued, why hasn’t anyone let her out of her room, why did the sun rise in the east, etc. She expresses those worries to one of BP’s underground advisors but, mid-sentence, the advisor was killed! Batruk! Suddenly, there’s an explosion at the Queen’s door: Klaw is in the Royal Compound! This episode could have easily been 45 minutes. There was so much going on, but it was jammed into about 20 minutes: Storm heading to Wakanda; the big battle between Juggernaut, Black Knight, and Nigandan troops, against the Wakandans and Black Panther; Klaw’s arrival; among other stuff. I did like that Black Panther and the Black Knight got a one-on-one fight. I like that the X-Men have made appearances in 2 episodes, although I think they should have went to Wakanda and gone after Juggernaut. This was a highly entertaining episode. There’s only one episode left and it’s probably going to be focused on 2 things: the end of the Invasion of Wakanda and Black Panther/Storm vs. Klaw/Batruk.